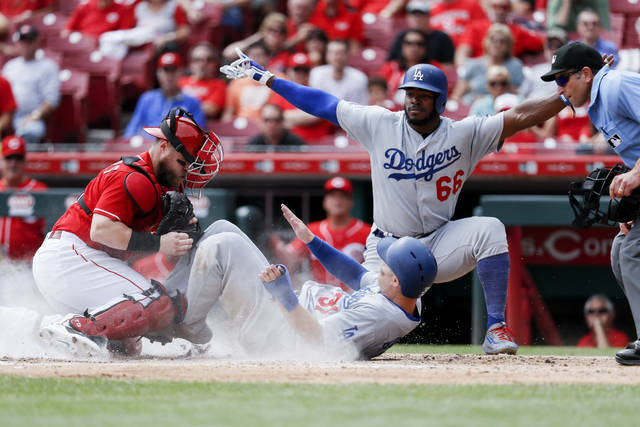 CINCINNATI (AP) — Yasmani Grandal and Justin Turner drove in three runs each, and the Los Angeles Dodgers beat Cincinnati 8-1 Wednesday to avoid a season sweep by the last-place Reds. Anthony DeSclafani (7-5) allowed six runs — five earned — five hits and three walks in 4 2/3 innings. 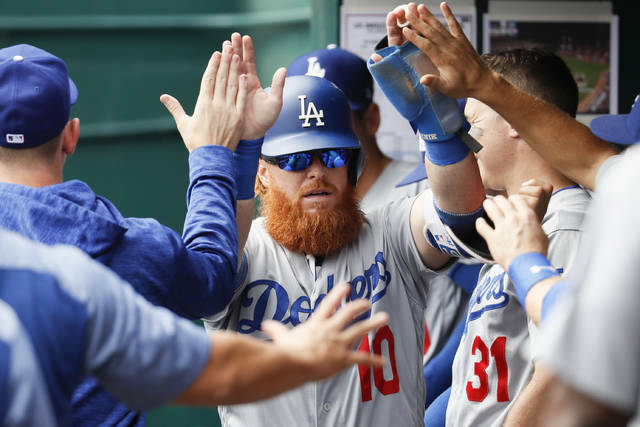 He failed to last five innings for the third straight start. 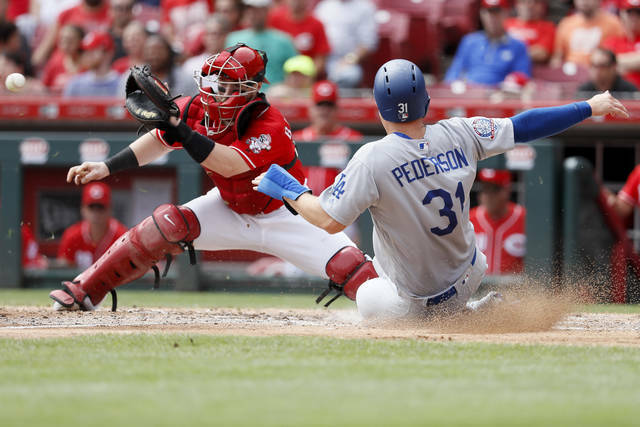 Jose Peraza put Cincinnati ahead with his first inning homer, but Pederson tied it 1-1 with a leadoff drive in the fourth, his second two games and 21st this season.